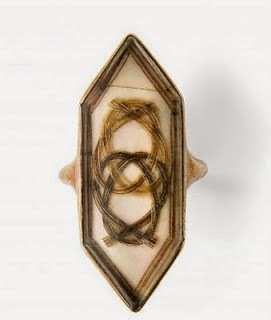 This gold ring containing the interlaced hair of Marie-Antoinette and Louis XVI originally belonged to the duchesse de Tourzel and was part of the collection of the comte de Paris sold by Christie's in Paris on 14 October 2008. The estimate was an absurdly low 1,500 to 2,000 Euros; in the end it sold for €25,700! For me, the interest of the piece lies not so much in Marie-Antoinette's blond hair as in the unexpected darkness of Louis XVI's. 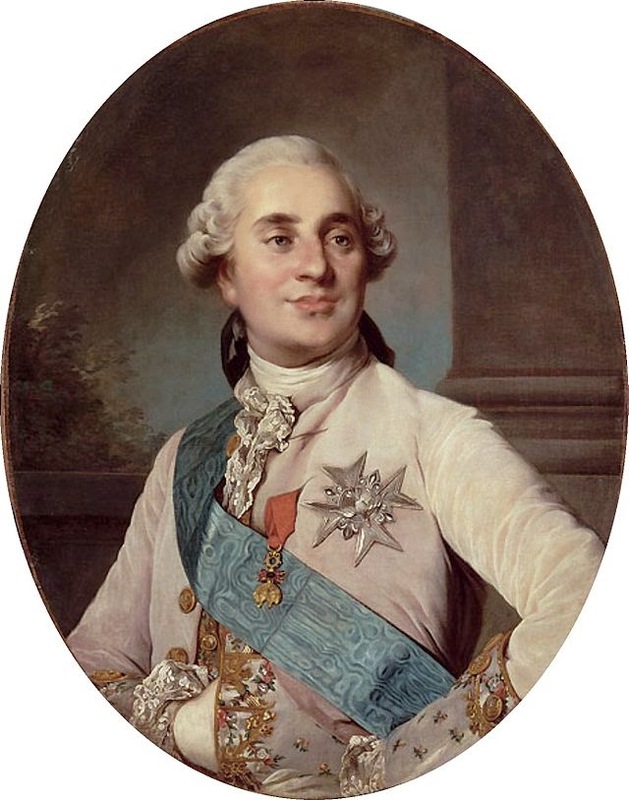 It is easy to assume that the blue-eyed and invariably bewigged or powdered Louis had light-coloured hair; actually it was mid-brown - as you can see from his eyebrows in most portraits if you look closely.